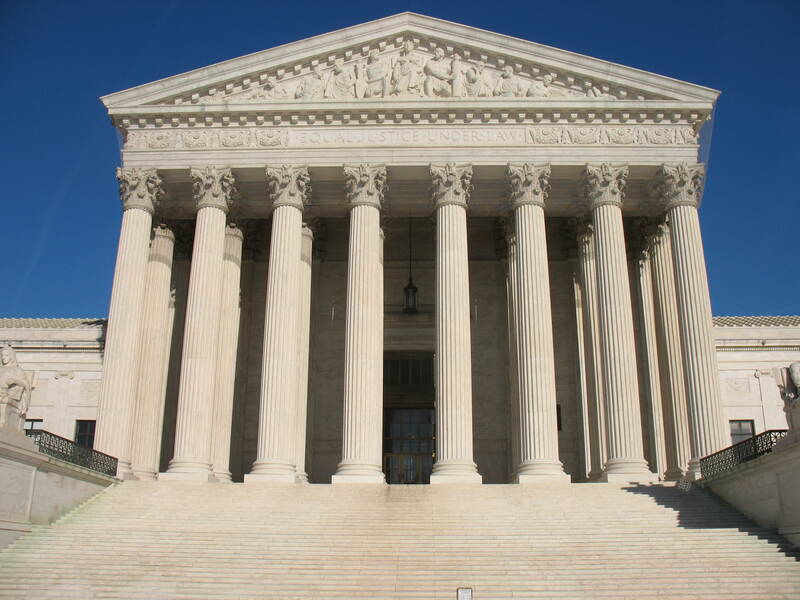 With a couple of notable exceptions the Supreme Court continued to be good to law enforcement in general this past year of 2014, particularly to federal agencies. The functioning so-called “conservative” majority of Chief Justice Roberts along with Justices Scalia, Thomas, Alito, and Kennedy was not invariably responsible for this result. In fact, predicting in advance the votes of particular Justices on particular issues was a dicey exercise. Although the Supreme Court decides cases by September to June terms, just like most school kids in America, this column will examine notable 2014 Criminal Cases (and those which might be of interest to federal agents). Most were decided in the 2013-2014 term with a few already ruled upon in the 2014-2015 term. Plumhoff v. Rickard (5/27) – Upholds the use of deadly force (shooting the driver) to end a dangerous car chase by police of a wanted driver of a vehicle that was endangering other drivers and pedestrians. Navarette v. California (4/27) – Officer had reasonable suspicion that justified a vehicle stop based on an anonymous 911 call that the vehicle had run the caller off the road. Similar cases invalidating stops were distinguished because in this case the informant had actually seen criminal activity. Hein v. North Carolina (12/15) – An officer’s mistake of law (that a car must have two working brake lights under NC law) if reasonable under the circumstances can validate reasonable suspicion to stop a vehicle. Fernandez v. California (2/25) – Consent to search given by an abused co-inhabitant to police after they had arrested and removed from the house an objecting inhabitant was valid. Prior cases invalidating cases were distinguished since the objecting occupant in those cases was still physically present when the officers acted on the consent of the other occupant. Riley v. California (6/25) — Officers cannot search digital information from a cell phone seized as incident to an arrest absent a valid search warrant. Such a warrantless search could still be valid in exigent circumstances. See an earlier column for a detailed analysis. Rosemund v.US (3/5) – Conviction for aiding and abetting a crime of carrying a gun requires proof that the defendant knew in advance that the carrier would be armed and that the defendant had a realistic opportunity to abandon the crime. Abarmski v. US (6/16) – A straw buyer (who happened to be a policemen buying for his uncle and with his uncle’s money) who purchases a firearm on behalf of another person while filling out the ATF form that the purchase was for himself violates the sec. 922(a)(6) false statement prohibition, even if the other person could have legally purchased the firearm. This was a 5-4 decision in which the normally pro law enforcement Justices voted in the dissent. US v. Castleman (3/26) – Dismissal of Armed Career Criminal Act charges was reversed by a holding that a prior misdemeanor conviction for domestic violence barred firearm possession under sec. 922(g)(9) even though no physical force had been used in the assault. Hall v. Florida (5/27) – Florida statute which established a bright line rule for defining intellectual disability for the purpose of qualifying for the death penalty at IQ 70 was invalidated as too rigid and permitted an unacceptable risk of executing a disabled defendant. See an earlier column for more detailed analysis. Note – The nation’s struggle to establish due process in this category continued, sometimes with bizarre results. The majority of states have eliminated the death penalty either de facto or by legislation and in only a handful of southern states does it remain in use. Henry Lee McCollum was exonerated by DNA after he had spent over 30 years on death row in North Carolina in a case that Justice Scalia is said to have ridiculed his appeal a decade earlier. In Arizona a motion to stop an execution was filed and argued by conference call in the middle of an execution by lethal injection when death did not result for over two hours. Alabama continued to be the only state to permit judges to disregard a jury’s verdict of life imprisonment and to impose a death sentence. This has occurred 95 times in the last 30 years and 43 defendants are on death row under the same circumstances. Burage v. US (1/27) – Government must prove beyond a reasonable doubt a “but-for” causation in order to convict a defendant of distribution where death results. Contributing to or acting as a substantial cause in the death is insufficient. Wood v. Moss (5/27) – Secret Service Agents were entitled to qualified immunity in a Bivens civil action where they moved a protest group two blocks away and out of sight of the President when he unexpectedly decided to deviate from a planned motorcade route in Oregon in order to eat lunch. The agents acted in good faith with valid security concerns. The fact that the protesters could not continue their expressions like the supporters when the President went back to the planned route did not justify the civil suit. US v. Clark (6/9) – A bare allegation that IRS agents had acted with an improper purpose, without adequate facts, was insufficient to compel them to be subject to examination in a civil action by taxpayers who had been summoned to testify and produce documents. In these dozen cases, dedcisions favorable to law enforcement were an 8 to 4 majority, a good result in most fields of endeavor. Posted: 12/19/14 at 9:51 AM under Uncategorized.